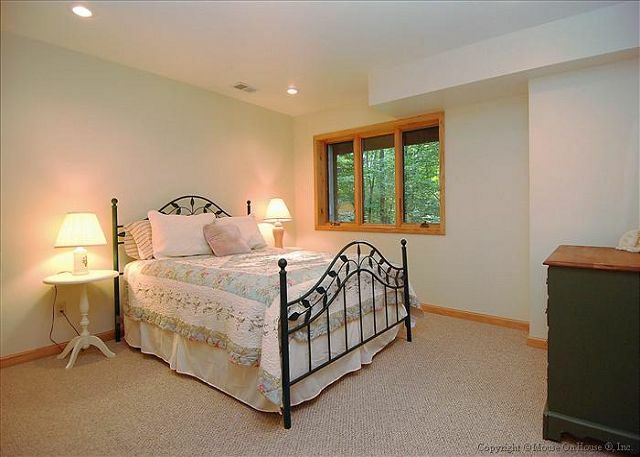 Located behind Timberline's guard house, this beautiful split level home offers three floors of comfort and convenience on a 4+ acre wooded lot. 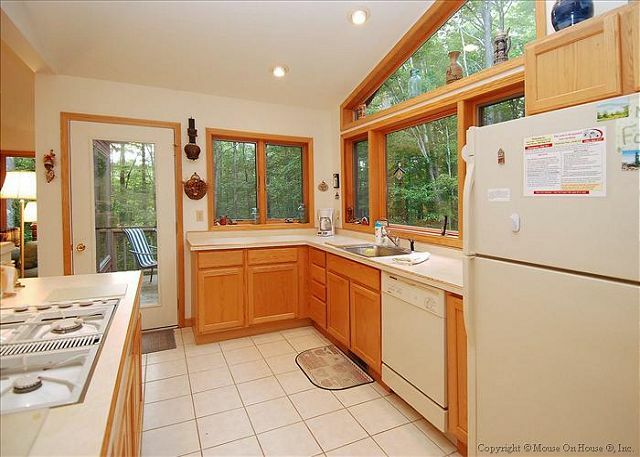 Large windows and a lovely deck offer unlimited opportunities for wildlife and weather watching. 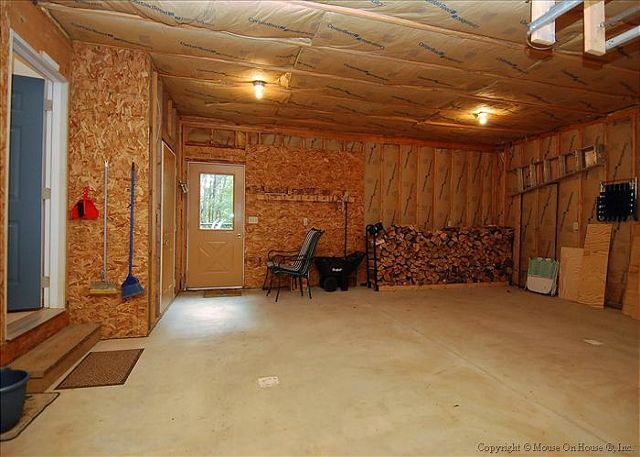 The deck includes patio furniture and a gas grill. The open kitchen, dining and living room features a wood fireplace and provides ample opportunity for making meal preparation a social event. 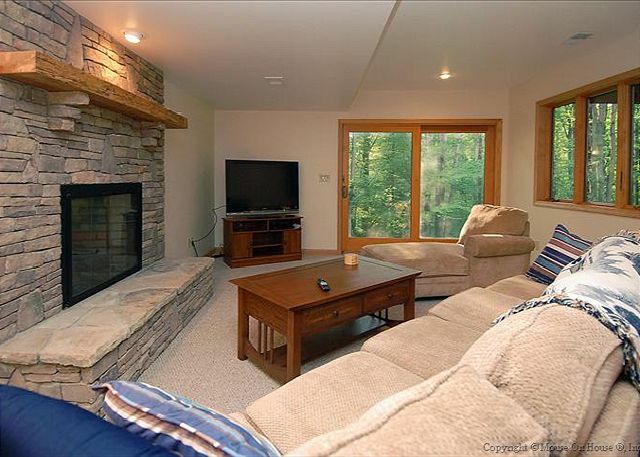 The large lower level family room showcases a gas fireplace, comfortable seating and a big screen TV perfect for watching the big game or mesmerizing the kids with a favorite movie. Enjoy the convenience of free WIFI and cable TV. To make packing and unpacking easier the house offers a two car garage. Winter access will require a 4-wheel drive vehicle. Hikers, mountain bikers and nature lovers of all ages will love the location and all of the "creature features" Mile' Fa'ilte has to offer. Other than very slow internet, everything was amazing. We had a great time in this cabin. our friend had his engagement in this cabin, and this cabin might be our choice again, if we are coming back WV for any other long weekend again. 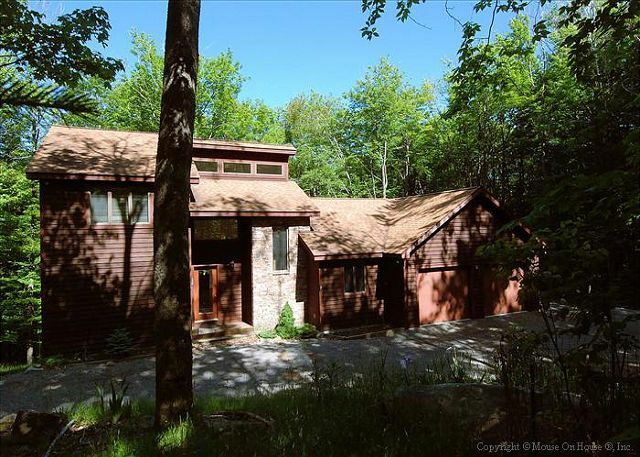 What a beautiful house, located in such a beautiful setting - densely wooded with two streams running through the property. It is very evident that the owners poured their heart into this place - the house is decorated with unique objects from distant lands, collected by someone with a great artistic sense. The house is just the right size for two families to have a great time and there are bedrooms in three levels, giving enough privacy. Our Family of four stayed for 4 days during the first week of October - the fall colors were spectacular. Access to Dolly Sods from the community is a super plus for Hikers and Nature lovers. The location is perfect to go to Blackwater Falls State Park, Canaan Valley Wild Life Refuge/State Park , Seneca Rocks, Spruce Knob etc. This was the nicest rental we've had in 20 years. Walking in it felt like "home". Clean and comfortable, interesting decorations. This was our 2nd trip to Canaan Valley and we love the area. Everyone is so pleasant. For a nature lover it is perfect. The small towns nearby have shops and restaurants, some of of which are "quirky" but fun and good food. Highly recommend it. Other than the stove that had a problem with the igniters, everything went quite smoothly. 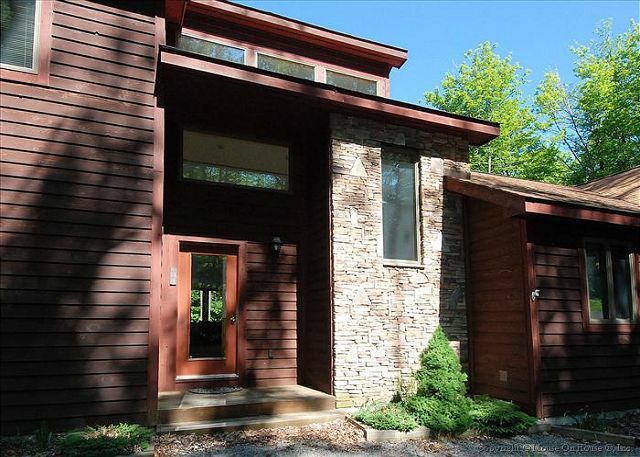 The house was well equipped and we have added it to our list of favorite places to stay in Canaan Valley. We have been to this house for four years, as always we had a great time! It is a great layout for more than one family! However we were disappointed this year some of the light bulbs were burnt out and the remote had no batteries we did find batteries and some light bulbs in a downstairs closet. However there was upper light bulbs that couldn't be reached! Over all would go back we alway have a great time there! Please keep in mind that our office is open 7 days a week. We are always happy to receive and respond to maintenance calls as quickly as we can...and even on the weekend whenever possible. Thanks for your continued business. We sincerely appreciate our great repeat renters. This house is everything that is described, pictured and then some. It is spacious, comfortable, clean, and full of conscientious little touches that greatly enhance the experience. I was a bit worried when I arrived to see a lot of lots very close together. However, when you arrive to the location, you get the feeling of being isolated and surrounded by the woods. The house has everything you will ever need from cooking implements, board games, to additional linens. The two fireplaces are a nice touch as well. This was an amazing experience and we would DEFINITELY return! What a beautiful home in a gorgeous remote location. We thoroughly enjoyed our stay, loved the peace & quiet and have already begun thinking about returning again. I would definitely recommend this home to family & friends!! Another wonderful vacation with the family in this home. Our family had another wonderful stay. 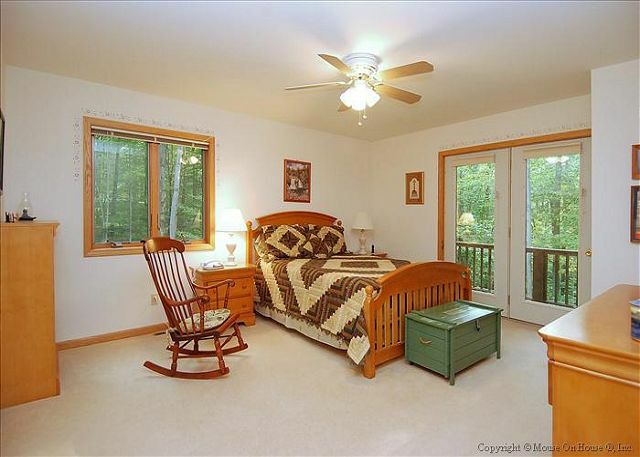 The home and location are perfect for a winter vacation with the family, perfect size and layout. The rental company is top notch always interested in helping with your questions. Nice vacation rental. Enjoyed our stay there. Carpet could use a good shampooing. My wife and I had a wonderful vacation at Mile' Fa'ilte. We spent a week here in late September. So glad we stayed within the gated community of Old Timberline as we really enjoyed exploring the mountain. 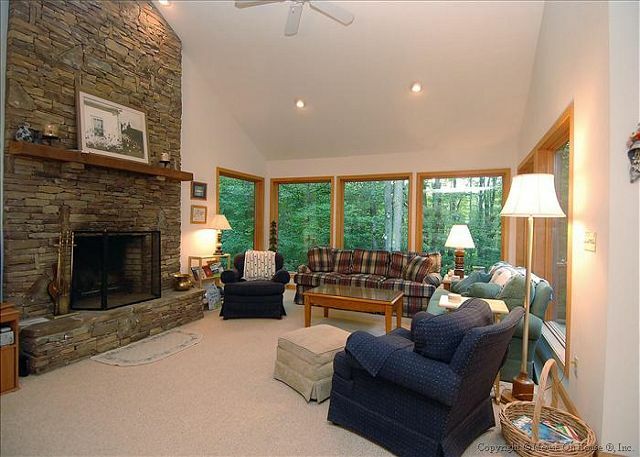 The house was lovely with floor to ceiling windows in the family room looking out on a beautiful wooded lot. Totally serene. 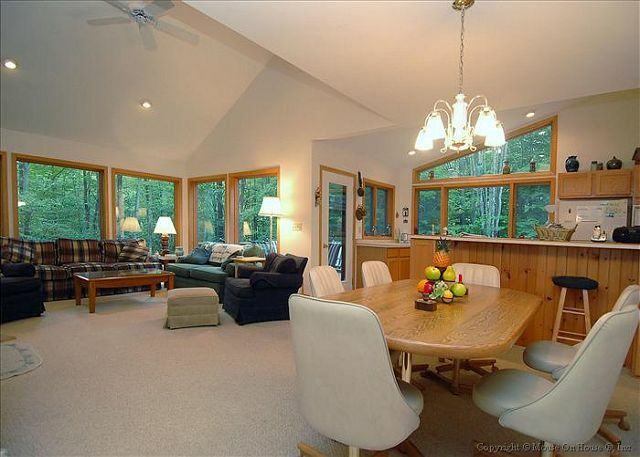 Open floor plan would be great for groups large and small. 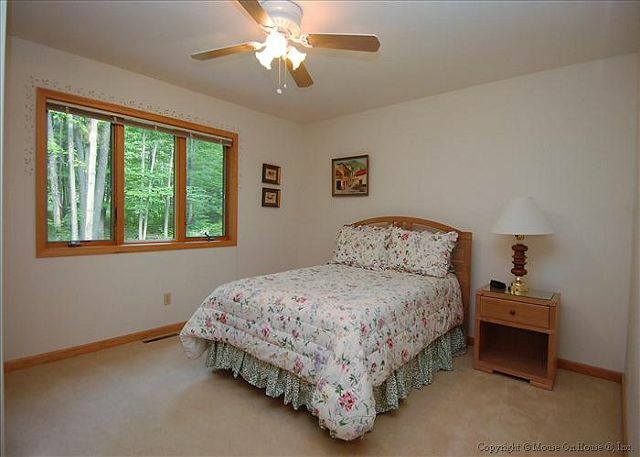 This is a beautifully maintained home with a warm welcoming feel. It was handy to have a garage as well. The lower level was large in space but cozy. The gas fireplace was a plus. The rental company was very professional and helpful. The DVD player was not working when we arrived (not a big deal but we had brought movies to watch). We called and they installed a new one the next day. We hope to come back in the spring and bring more of our family to enjoy this special place. Our family of 10 had a great long Presidents weekend at our house again this winter. we all agree it is a perfect home to be together. We already booked for next year. Mile Fa'ilte is a beautiful home in a lovely setting. 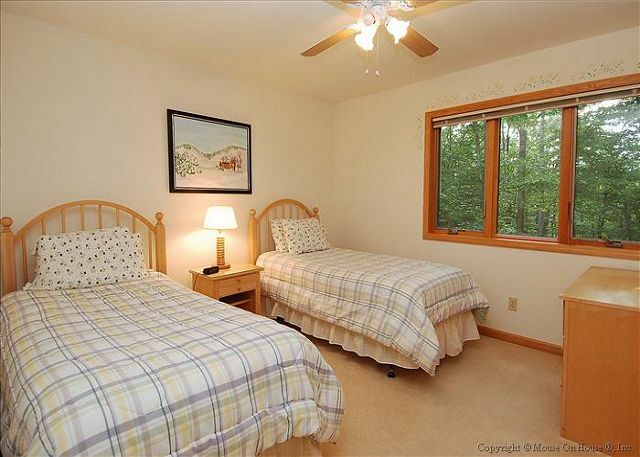 We so enjoyed the comforts of the home as well as the beautiful trees surrounding the area. The home was clean, well-stocked, very pretty, and it had great touches such as firewood in the garage ready for a roaring fire, candles for ambiance, and many games and books to keep you occupied on a rainy day. I'll definitely go back! Mile' Fa'ilte was a great place to base our mini vacation. We absolutely love Canaan Valley and the surrounding sights. The house is very comfortable and we were able to hang out as a family and enjoy time together. It had so much room! Three floors of living space!! Everything that you needed was there. Just relax and enjoy!! A good time was had by all. We all loved the house and want to return. The weather was perfect for a winter weekend and the home warm and cozy. Very happy with everything. We enjoyed the cleanliness, the organization, and the layout of the home. The numerous games that were provided was a huge hit with some of our family members while others chose to watch the big screen tv in front of the cozy fireplace. The large windows allowed an array of autumn colors. We left with wonderful memories and a great time. Our first trip to Canaan Valley to attend an outdoor wedding at Blackwater Falls was so relaxing thanks to this beautiful home in the trees. Inside and out every detail of this home was appealing and gave a sense of welcome and happiness. It is no wonder why they call it One-Thousand Welcomes. Everything was very clean and neat. The only problem was the gas grill was in need of replacement. 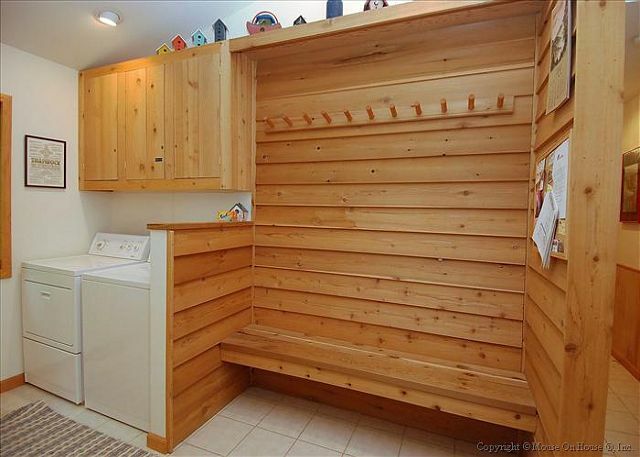 Quiet location and easy access. Overall, we had a great time. The house was large and open yet had areas where you could get away if you wanted. Only problem was the refrigerator that didn't keep things cold. The owners put a note indicating that there was a problem and we tried every concievable way to make it work but ended up using our ice chest to keep things cold. The home was situated in a perfect location. Overall the house was in great condition, clean and full of everything one needs for a great getaway! We were two families with young kids that all looked froward to retreating to the home after a great day of skiing. Would highly recommend! Thank you! We had such a wonderful time in Canaan Valley again this year! The house was perfect! Thank you so much! I wish I could give more than five stars to the property management company. They were fantastic through the whole process, from changing the dates of our reservation without any problems to helping us out when we got unexpectedly snowed in for two days longer than we intended to stay. We've rented Mile' Fa'ilte from several rental companies over the years, and the Best of Canaan was definitely the best we've experienced. Over all my husband and I had a very nice time in the valley,it snowed on Monday Oct. was cold and rainy most of the days, but had a few nice days, and I took some great pictures. We have been coming to the valley (Old Timberline) since 2007. We love the Valley!!! Loved the streams running on both sides of the house. They were peaceful to listen to. We have stayed at this house with just a few people and with 11 and it works well either way. The house is so spacious and well kept. We love the location and will continue to stay at this house any time we go to canaan. The staff at Best of Canaan are THE BEST!!! I have rented many vacation homes, and this was one of the best. 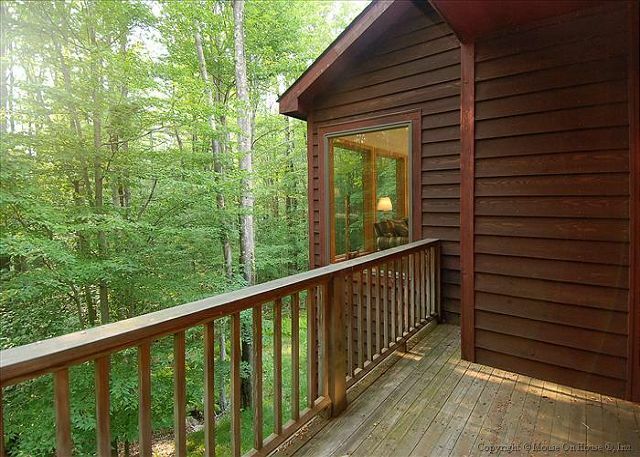 The cabin is secluded and surrounded by untamed forest and streams, which was heavenly for my imaginative children. The home itself was immaculate, the kitchen very well-stocked, and the layout was smart. The basement became kid central while the adults could enjoy their own movies/music/gaming on the first floor. The property management company was great to deal with, too. We are so happy we chose this location for our Thanksgiving retreat. We hope to return. Receive the Best at Best of Canaan!!! Had a wonderful experience from the booking of the rental house til we checked out!! Donna was very helpful and made sure we had everything we needed. The house was WONDERFUL! Very spacious, spotless and comfortable. Felt like we were at "home." Loved the extras in the kitchen, the board games, magazines/books and the fireplace. We will book thru Best of Canaan in future and hope to get the same house!! we was very pleased with the house. It was so relaxing. Hope to stay again next year. We were delighted with the house. It was spotless, comfortable and well-equipped. 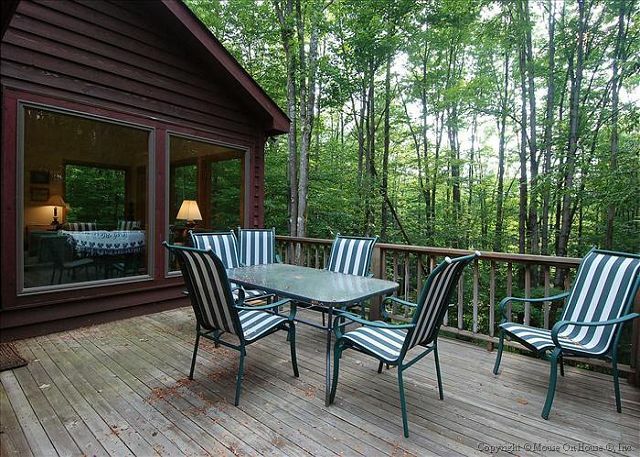 The setting was beautiful: deck overlooking a woodland with a babbling creek. This home is wonderful. We enjoyed our stay so much and didn't want to leave. We plan to return again next year and rent the same house. You can't go wrong with this one. The house was roomy and very well appointed. The views from the living room were great. My kids felt like they were staying in a tree house. 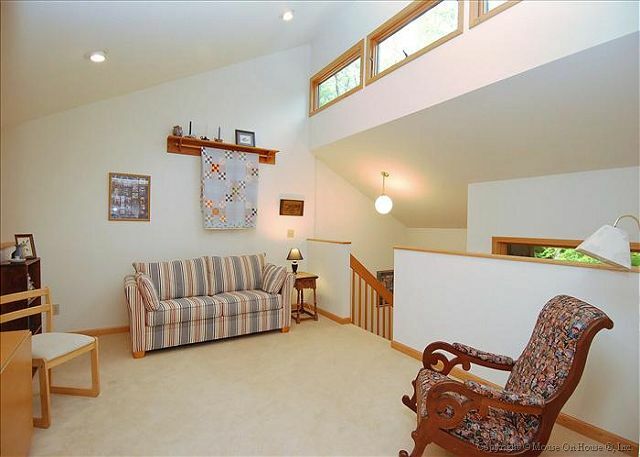 And the down stairs family room was so comfortable. The people at Best of Cannan were very helpful. We couldn't check-in until after the 5 pm deadline. They went out of their way to make arrangements for us. I would definitely use this realty company again. If you are coming to Canaan Valley, I would recommend filling your gas tank before arriving as the only gas station in the valley is now closed.